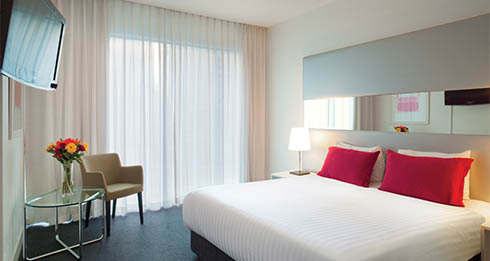 The 4 star Vibe Hotel Sydney offers a funky alternative to boring hotel rooms - focusing on vibrant colours and modern décor. 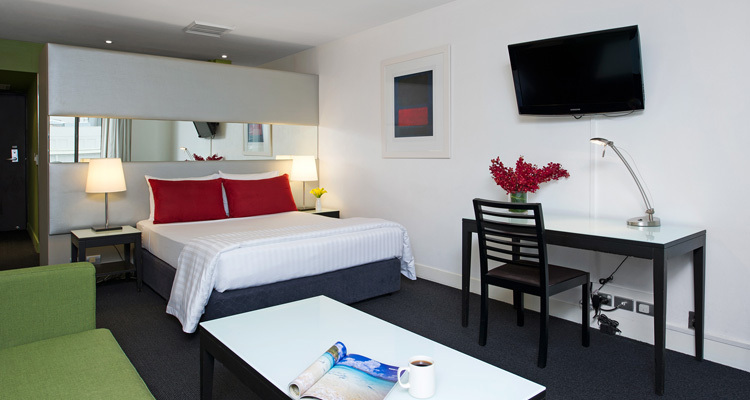 The Vibe Hotel Sydney is just a few minutes walk from Central Station too, making it a great option for overnight airport stays and getting back to the airport in time! 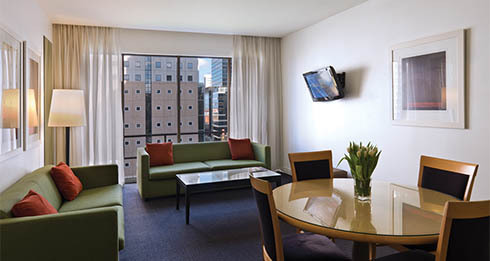 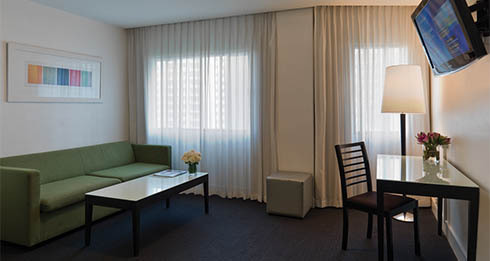 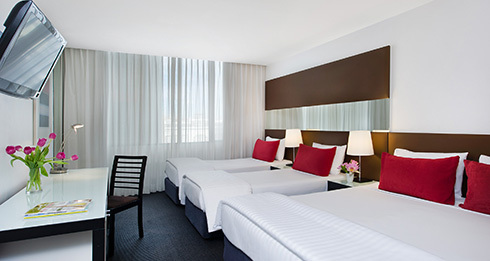 Vibe Hotel Sydney offers a selection of rooms from Standard queen rooms, to family rooms and Master Suites on the top floor with its own piano! 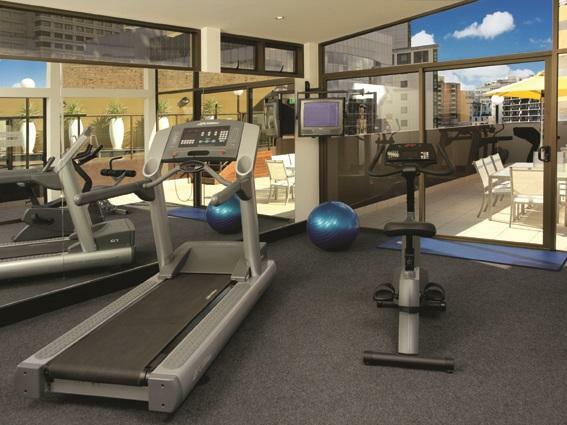 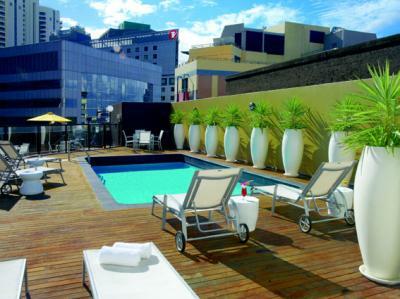 Vibe Hotel Sydney prides itself on being 'different', with a fun personality and great facilities to match including rooftop pool, gym, onsite restaurant and bar, 24 hour reception and WiFi throughout the hotel. 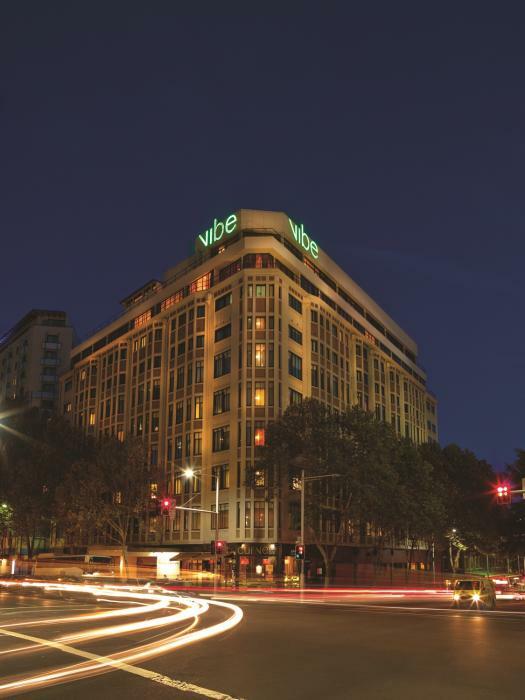 Directions to parking: Parking is available directly opposite Vibe Hotel Sydney at Goulburn Street Wilson's Parking station; located on the corner of Goulburn St & Elizabeth St. Wilson Parking offers Vibe Hotel guests special parking rates, please refer all enquiries to the hotel reception. 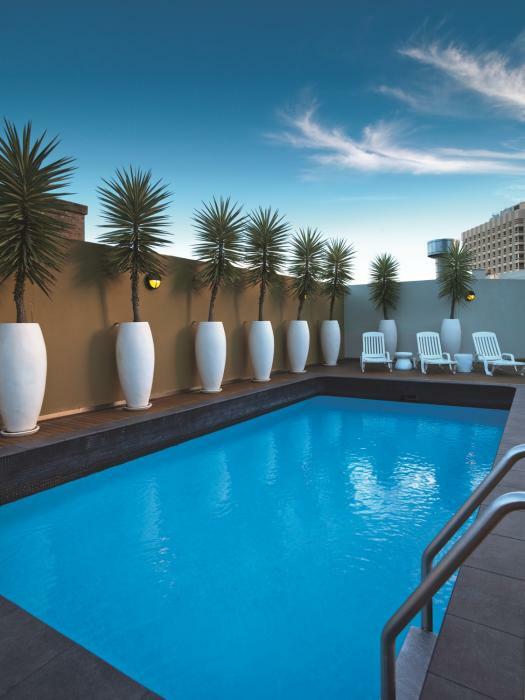 Height restrictions 1.8m. 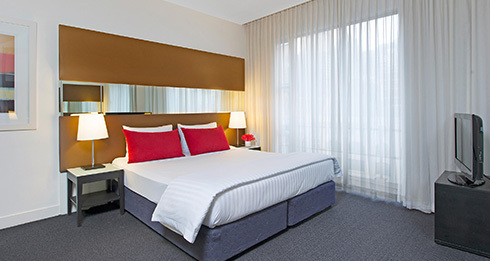 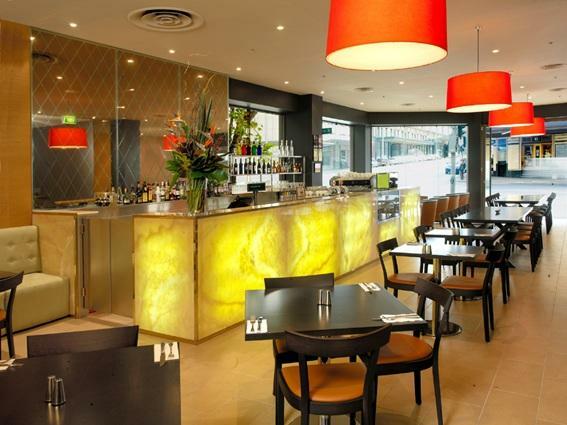 Vibe Hotel Sydney is 7 out of 10 based on 8 customer votes & Yelp reviews.